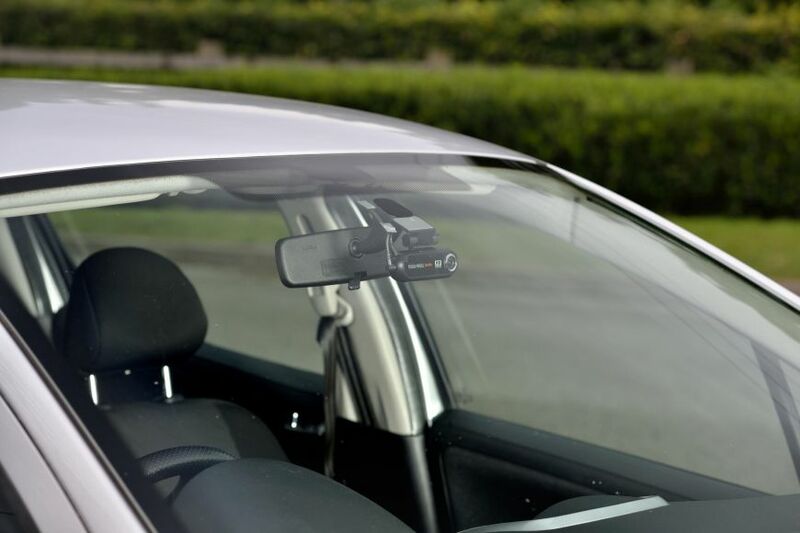 Dashcam usage in the UK is at an all-time high – sales of these pocket-sized movie makers have surged by 600 per cent in the last three years, according to retail analyst GfK. But is it actually worth your time to get one fitted? What benefits could it bring to your everyday driving – and what problems could you face with one in place? We’ve answered some of the more commonly-asked questions surrounding dashcams. A dashcam or in-car camera is a small video camera, designed to capture footage of the road ahead on a constant loop. They’re usually set-up for high-definition video, coping especially well with night-time driving and headlamp glare, and are designed to be put in place and left alone until the driver needs to access the footage. Dashcams can range from as little as £10 for a basic model to £300 and beyond for the very latest, which are packed with sophisticated features and capture super high-def video. They’re usually sited high up on the windscreen, behind the rear-view mirror, though some also have rear-facing sensors for use in the rear window. Will dashcam footage protect me in an accident? It depends what the circumstances are. Dashcam footage can help prove blame in a crash – that’s not particularly useful if you’re at fault and trying to convince your insurer you are blameless. However, if it’s simply your word against the word of an at-fault driver, dashcam footage can prove you right and save the claim from being marked as 50/50 blame. Most insurers will accept dashcam footage as a record of a collision, and it can be used in court. Is it worth spending more for a top-spec dashcam? Your needs and usage dictate how much you should consider spending on a dashcam. Generally speaking, the bottom end of the market is populated by lower-quality, far-Eastern imports. They work fine in theory, but they’re often too low a resolution to capture number plate information, for example, and tend to work poorly in low light. Spend above £60 or so and you should be able to get a dashcam which records in HD and offers good low-light performance. Other features can be nice to have – such as WiFi for easy data transfer, a selection of different mounting points, or smaller size. Will a dashcam lower my insurance premium? Some insurers do offer a discount for dashcam use. Others do not, while some may offer a discount but not advertise it. The best course of action is always to ring up a few insurers and ask if they will offer a reduced premium for using a dashcam. Will a dashcam flatten my car’s battery? Not if you install it correctly. Dashcams run off 12V power in the car – gained either from the car’s cigarette lighter, or hardwired into the vehicle’s power grid via the fuse box. Either approach should see the dashcam turn off with the car’s ignition. If you’d like a level of protection even while the car is switched off, then look for a dashcam with a dedicated ‘parking mode’. This uses motion detection and the camera’s built-in battery to film short snippets if it detects movement – ideal for capturing potential vandalism. How do I fit a dashcam? At its simplest, dashcam fitting is simply a case of attaching the camera to the windscreen, plugging the power cable into the cigarette lighter and setting off. Hardwire kits are available, which tend to piggyback off a fuse in the fuse box. Alternatively, you can visit a specialist auto electrician who’ll be able to do a professional job. Regardless, the installation should ensure that the camera has a good view of the road and the cable is hidden away where it can’t interfere with your driving. What can I do with my footage? Dashcam video compilations have become immensely popular. Displays of poor driving capture imaginations worldwide, and many YouTube channels rack up millions of views with clips submitted by drivers. You’re well within your rights to use dashcam footage captured in the UK for any purpose you like – there’s no data protection law preventing you from filming drivers in a public space. Should you leave the camera on while you’re on holiday, different laws may apply – be sure to check before you travel. If you buy the right model, dashcams can do near enough anything. There are models with lane departure warning, front collision alert, speed camera detection, even sat-nav. Generally speaking, though, these models tend to do everything – badly. It’s best to buy a dashcam to be a dashcam, and if you want those extra features you can pay for them elsewhere.